December is flying by. We've been super busy ... too busy to remember to snap many pictures or blog. Our school days are pretty simple for December. We finished the book The Great Turkey Walk tonight. The kids all really enjoyed it! We've been learning about the skeletal and muscular system in science. In history we've been learning about reconstruction after the Civil War. The kids have been struggling with concentration with all the excitement of Christmas. Here are a couple of pictures from the last few weeks. 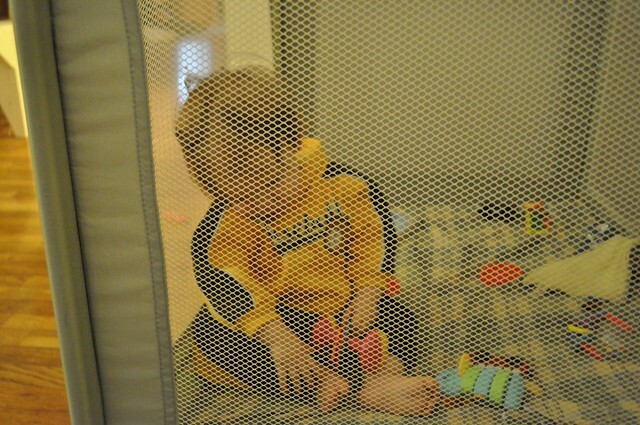 Alex sleeping in his playpen ... while sitting up. Our backyard over the course of an afternoon. Flooding and snow all at once! 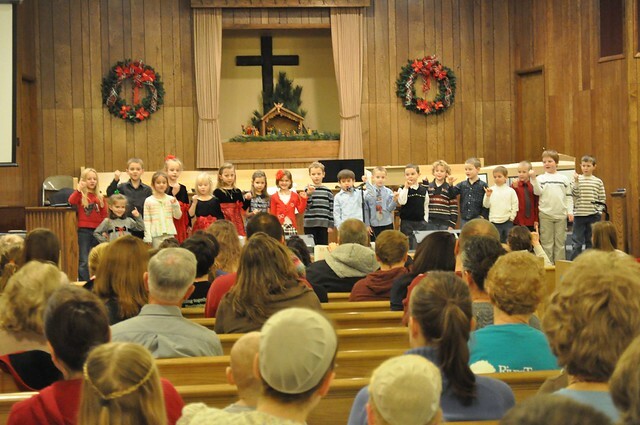 Josiah (in the green shirt) at his choir recital. Caleb also sang, but I didn't get any pictures of him (I was too busy with a crazy two year old). Jada doing the sign language alphabet during the same recital. She's in a navy dress towards the middle. 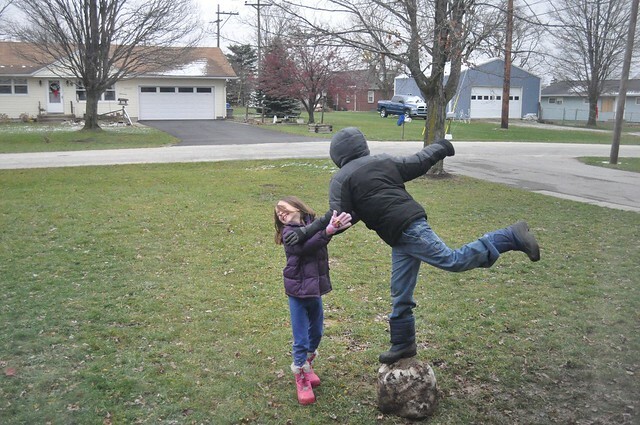 Rachel and Josiah playing with a big, muddy snow ball.